Match ends, Plymouth Argyle 2(5), Exeter City 2(3). Penalty Shootout ends, Plymouth Argyle 2(5), Exeter City 2(3). Goal! Plymouth Argyle 2(5), Exeter City 2(3). Nadir Ciftci (Plymouth Argyle) converts the penalty with a right footed shot to the top left corner. Goal! Plymouth Argyle 2(4), Exeter City 2(3). Ruben Lameiras (Plymouth Argyle) converts the penalty with a left footed shot to the top right corner. Goal! Plymouth Argyle 2(3), Exeter City 2(3). Jake Taylor (Exeter City) converts the penalty with a right footed shot to the bottom right corner. Goal! Plymouth Argyle 2(3), Exeter City 2(2). 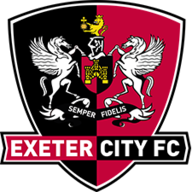 Pierce Sweeney (Exeter City) converts the penalty with a right footed shot to the bottom left corner. Goal! Plymouth Argyle 2(3), Exeter City 2(1). 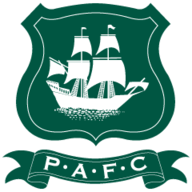 Antoni Sarcevic (Plymouth Argyle) converts the penalty with a right footed shot to the bottom left corner. Goal! Plymouth Argyle 2(2), Exeter City 2(1). Jake Jervis (Plymouth Argyle) converts the penalty with a right footed shot to the bottom right corner. Goal! Plymouth Argyle 2(1), Exeter City 2(1). Matt Jay (Exeter City) converts the penalty with a right footed shot to the high centre of the goal. Penalty saved! Lloyd James (Exeter City) fails to capitalise on this great opportunity, right footed shot saved in the bottom right corner. Goal! Plymouth Argyle 2(1), Exeter City 2. Gregg Wylde (Plymouth Argyle) converts the penalty with a left footed shot to the bottom right corner. Penalty Shootout begins Plymouth Argyle 2, Exeter City 2. Second Half ends, Plymouth Argyle 2, Exeter City 2. Substitution, Plymouth Argyle. Nadir Ciftci replaces Nathan Blissett. Attempt missed. Jack Sparkes (Exeter City) left footed shot from outside the box is just a bit too high. Attempt saved. Jake Taylor (Exeter City) right footed shot from outside the box is saved in the centre of the goal. Attempt blocked. Kyle Edwards (Exeter City) left footed shot from the left side of the box is blocked. Matt Jay (Exeter City) hits the bar with a right footed shot from the centre of the box. Luke Croll (Exeter City) is shown the yellow card for a bad foul. Nathan Blissett (Plymouth Argyle) wins a free kick in the defensive half. Foul by Luke Croll (Exeter City). Substitution, Exeter City. Pierce Sweeney replaces Troy Archibald-Henville. Attempt missed. Ruben Lameiras (Plymouth Argyle) left footed shot from outside the box misses to the right. Substitution, Exeter City. Jake Taylor replaces Hiram Boateng. Goal! Plymouth Argyle 2, Exeter City 2. Nathan Blissett (Plymouth Argyle) right footed shot from the centre of the box to the bottom left corner. Assisted by Ruben Lameiras. Foul by Lloyd James (Exeter City). Attempt missed. Nathan Blissett (Plymouth Argyle) header from the centre of the box is just a bit too high. Goal! Plymouth Argyle 1, Exeter City 2. Kyle Edwards (Exeter City) right footed shot from the left side of the box to the top right corner. Attempt saved. Nathan Blissett (Plymouth Argyle) header from the centre of the box is saved in the top centre of the goal. Substitution, Plymouth Argyle. Ruben Lameiras replaces Graham Carey because of an injury. Substitution, Exeter City. Craig Woodman replaces Dean Moxey. Corner, Plymouth Argyle. Conceded by Kane Wilson. Foul by Troy Archibald-Henville (Exeter City). Troy Archibald-Henville (Exeter City) wins a free kick in the defensive half. Corner, Plymouth Argyle. Conceded by Kyle Edwards. Hand ball by Gary Sawyer (Plymouth Argyle). Kane Wilson (Exeter City) wins a free kick on the left wing. Attempt missed. Nathan Blissett (Plymouth Argyle) right footed shot from outside the box is just a bit too high. Attempt saved. Matt Jay (Exeter City) right footed shot from the centre of the box is saved in the bottom right corner. Attempt blocked. Dean Moxey (Exeter City) left footed shot from outside the box is blocked. Corner, Exeter City. Conceded by Ryan Edwards. Second Half begins Plymouth Argyle 1, Exeter City 1. First Half ends, Plymouth Argyle 1, Exeter City 1. Corner, Exeter City. Conceded by Jakub Sokolik. Foul by Jakub Sokolik (Plymouth Argyle). Jack Sparkes (Exeter City) wins a free kick in the defensive half. Attempt missed. Jake Jervis (Plymouth Argyle) right footed shot from the centre of the box is high and wide to the left. Hand ball by Matt Jay (Exeter City). Attempt blocked. Liam McAlinden (Exeter City) left footed shot from outside the box is blocked. Attempt missed. Graham Carey (Plymouth Argyle) left footed shot from the left side of the box misses to the right. Attempt missed. Jamie Ness (Plymouth Argyle) left footed shot from outside the box is close, but misses to the right. Corner, Plymouth Argyle. Conceded by Luke Croll. Goal! Plymouth Argyle 1, Exeter City 1. Ryan Edwards (Plymouth Argyle) header from the right side of the six yard box to the bottom left corner. Assisted by Gregg Wylde following a corner. Corner, Plymouth Argyle. Conceded by Dean Moxey. Attempt missed. Gregg Wylde (Plymouth Argyle) left footed shot from the left side of the box misses to the right. Attempt missed. Liam McAlinden (Exeter City) left footed shot from the centre of the box is just a bit too high. Attempt saved. Matt Jay (Exeter City) right footed shot from the centre of the box is saved in the centre of the goal. Goal! Plymouth Argyle 0, Exeter City 1. Liam McAlinden (Exeter City) left footed shot from the centre of the box to the bottom right corner. Assisted by Matt Jay. Jakub Sokolik (Plymouth Argyle) wins a free kick in the defensive half. Dean Moxey (Exeter City) wins a free kick in the attacking half.